Vector image collection with musical illustrations. 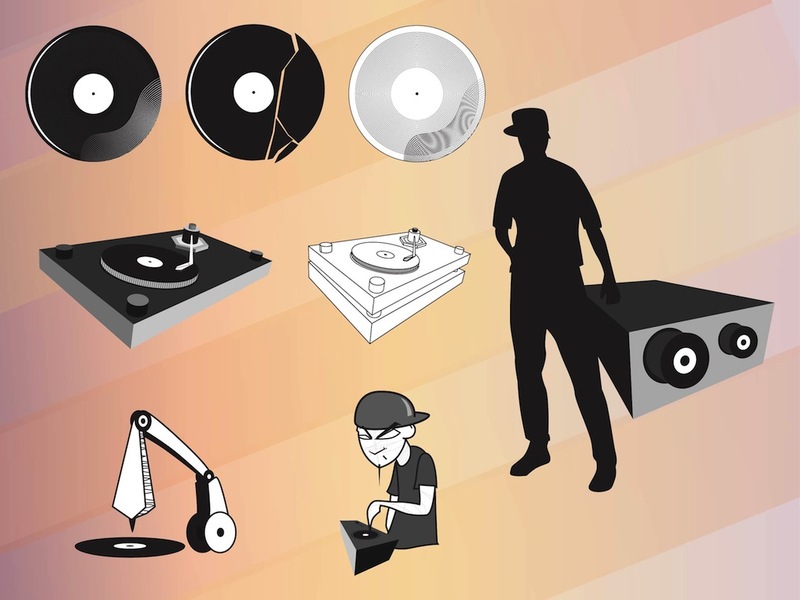 Light and dark versions of a vinyl record icons, broken record, turntables, close up illustration of a needle above the record and portraits of DJs. Free vector illustrations for all kinds of party invitations, disco posters, icons and company logos projects. Tags: Cartoon, Club, Dance, Deejay, Disco, Music, Party, Records, Sound, Turntable.